Congratulations to the winner of the 2014 RNA Raiders Player of the Year Award, Jarrod Croker! Season 2014 was another fantastic year for the Raiders' super-boot, Jarrod Croker. Goal kicking, try scoring, leadership on and off the field; Croker has it all. In February, Croker played in the Raiders Auckland Nines team. In Round 24 against the Cronulla-Sutherland Sharks, Croker surpassed club legend Mal Meninga’s 864 club career points, taking him to 3rd highest point scorer for the Raiders. He finished the year as the highest point scorer and try scorer for the Raiders, scoring 18 tries and scoring 202 points. On 5 September, Croker re-signed with the Raiders to the end of the 2018 season. On 12 October, Croker played for the Prime Minister’s XIII team against Papua New Guinea. As well as winning the RNA Award, he was also named as the 2014 Mal Meninga Medalist for Raiders’ best and fairest player. 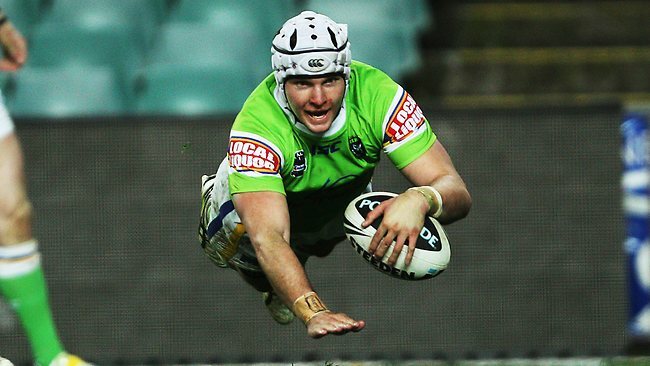 On 19 December, Croker capped off a great year when he was named by coach Ricky Stuart as the new captain of the Raiders.